Creating and sharing culturally appropriate Community Stories was important to creating a website that key users can relate to. 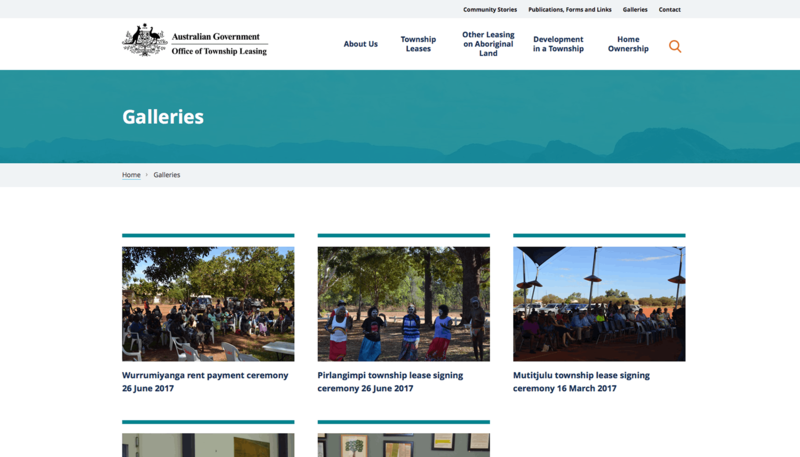 The Office of Township Leasing is a government agency designed to manage and administer township leases over Aboriginal communities in the NT for the economic benefit of the communities’ Traditional Owners and residents. The framework for this website is using the federal government approved web content management system GovCMS. Using this platform, we ensured that the website was highly accessible, meeting WCAG 2.0AA Accessibility Standards. Resulting in content that is accessible to a wider range of people with disabilities and web users in general.  This approach meant fonts were designed to be large and easily readable. 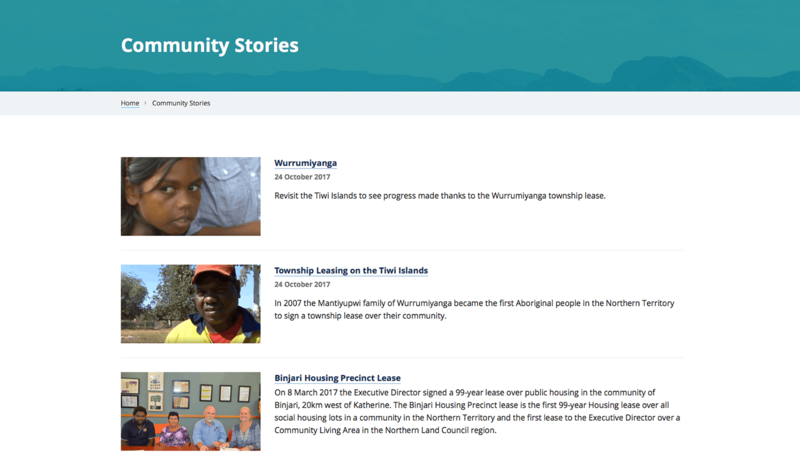 With an Indigenous audience as our primary focus we incorporated Community Stories to share the positive stories of the Traditional Owners and benefits to communities who have gone into formal lease arrangements. Culturally appropriate video and photo imagery are embedded within the stories. A collaborative approach was integral to the success of this website. 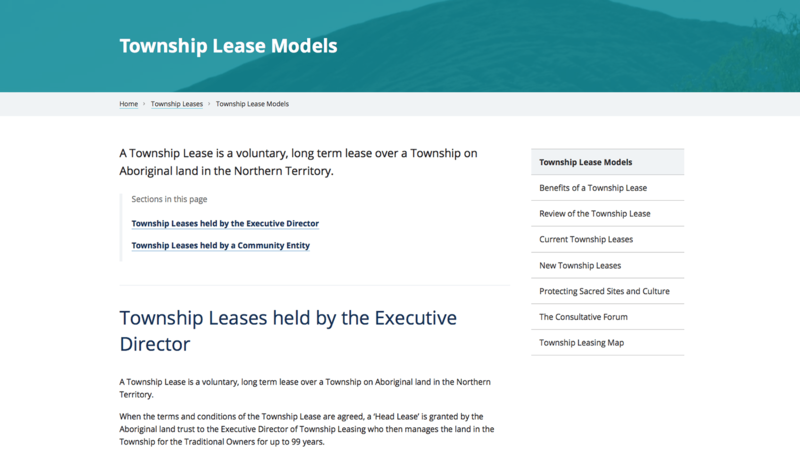 The main site functionality includes a display of current township leases, where a search filter allows end users to refine their search by lease type and region. An interactive Google map overlay using KML, which helps us to display geographic data, provides a visual display of the location of the leases. The maps allow the user to zoom in to discover a detailed summary of the lease type and exact land location. 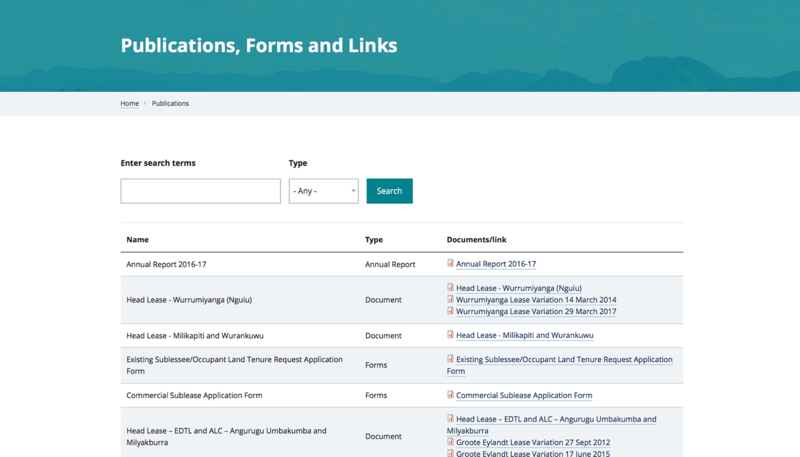 Another feature is the centralised location of publications, forms and links which also has a search filter allowing the user quick access to a document type. 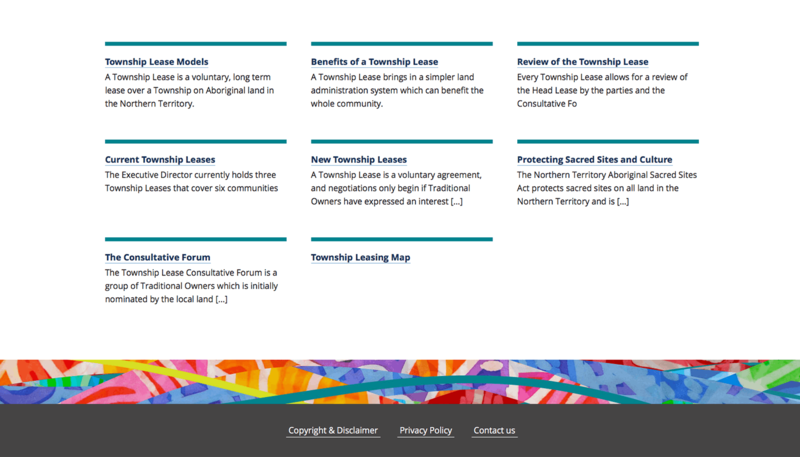 The newly developed Office of Township Leasing website explains Aboriginal land ownership in detail and further questions in this regard can be directed via the website. Content that is accessible to a wider range of people. A collaborative approach was integral to the success of this website. One of the key requirements for this site was ensuring the users could easily access the key forms and publications.